SPRING TRACTOR RUN: is takes place this Saturday (March 30) and everyone is welcome to go along either as a spectator or with a tractor. 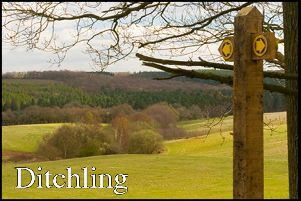 Meet at Tinkers Park, Hadlow Down (TN22 4HS) by 10am for a 10.15am departure to Five Ash Down, via the lanes, for the first stop, at about 11am, at The Pig and Butcher. Complimentary tea and coffee, plus bacon butties at a subsidised price of £2 will be available. Thanks to Ian and Emma for their support. The Run will continue at 11.30am to The Laughing Fish, Isfield, arriving at 12.15pm where the affiliated Morris side Spirimawgus will be in attendance. At 12.45pm the Run will set off for Barcombe where it will meet a Tinkers Steamer which will lead the Run into Lewes into Harveys Yard where all the steam, tractors and vintage vehicles will park up. There will be live folk music, a barbeque and a bar courtesy of Harveys Brewery. The Club are extremely grateful to Harveys Brewery for their tremendous support of this event. The Club are again collecting for St Peter and St James Hospice who will have a presence at the Brewery too. For more details email chaileytractorclub@gmail.com or visit http://www.chaileytractorclub.org/. QUIZ NIGHTS: hosted by Graham Meheux are taking place on Tuesday April 9 at the Rose and Crown Fletching, Tuesday April 16 at the Stand Up Inn Lindfield and Wednesday April 24 at the Kings Head Lewes. Proceeds from the evening will be split between St Peter and St James Hospice and Chailey Classic & Vintage Tractor Club. There will be nibbles, a raffle and prizes for the winning team. Teams up to 6, £5 per person and tickets are available from grahammeheux@gmail.com. For more details email chaileytractorclub@gmail.com or call Howard on 07971 792449. LUNCH CLUB: is at St Peter’s Church, on Chailey Green on Thursday April 11. The meal is freshly prepared and home-cooked with a main course, choice of puddings and tea/coffee all for £5 per person. Just go along from 12.30 to 2pm, the access is easy and there are disabled toilet facilities. If you require transport or further information please contact stpeterschurch12@hotmail.co.uk or call 01825 722286. HORTICULTURAL SOCIETY NEWS: ‘Firstly a word of warning. Slug pellets containing metaldehyde will be banned from 2020 everywhere except permanent poly tunnels and greenhouses. This is because of their danger to wild life and a small risk of contamination of drinking water. The effectiveness of metaldehyde was that it is a contact killer and thus very effective against surface slugs. The applications that remain available are those containing ferric phosphate and biological agents. Ferric phosphate is not a contact killer and works to kill slugs after ingestion. At present it is considered safe as it breaks down to ferric and phosphate compounds though both of these are poisonous in large quantities. Biological controls work by infecting slugs with nematodes that seek out and kill them. The advantage is that it works on slugs below the surface. It lasts about six weeks per application. The soil needs to be warm and wet. Now as promised to the growing of parsnips and carrots. The easiest way for parsnips and exhibition carrots is to use a dibber to make a hole about 6” deep and fill it with a mixture of 50/50 sieved universal compost and horticultural sand and plant 4 to 5 seeds on top. Parsnips are slow to germinate and always use fresh seed. Choose just one seedling and protect from slugs. Choose canker resistant varieties. With carrots use carrot fly resistant varieties (Flyway) or protect with fleece. Now something for the adventurous. Who has heard of Hamburg Parsley? Common in Eastern Europe it is almost unknown here. Botanically it is a parsley though distantly related to parsnips. The top growth looks and tastes like flat leave parsley and the root looks like parsnip with added flavours of parsley and celery. It is therefore dual purpose and easy to grow in the same way as parsnips. Completely hardy and ready to harvest in six months. Sowings can be made in March or July though too much heat can inhibit germination. Also don’t pick too much of the green parsley like top growth as that will spoil the root which is used in the same way as parsnips. At our shows it would come under the ‘any other vegetable’ class. By mid-April greenhouses and poly tunnels should be frost free and allow the planting out of tomato plants though chillies, sweet peppers and aubergine will still benefit from a little extra warmth. Prune fig trees in late March and early April and try to bring some order to what is usually a thoroughly disorderly tree. Split agapanthus and repot orchids after flowering. The St. George’s Day Fete is on the 20th April and we will have a stand with plants for sale and advice to be given’. For more details contact Peter Estcourt on 07803179708 or via pge44@icloud.com.